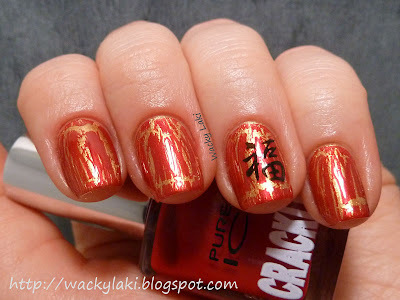 Today I have one more Year of the Dragon manicure to share with you. 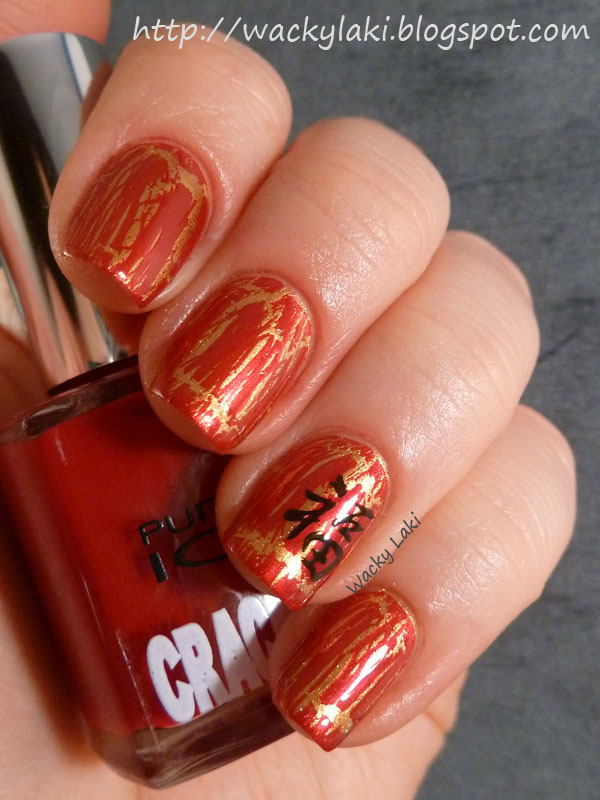 This one comes courtesy of Bari Cosmetics who kindly sent me these two polishes for review. 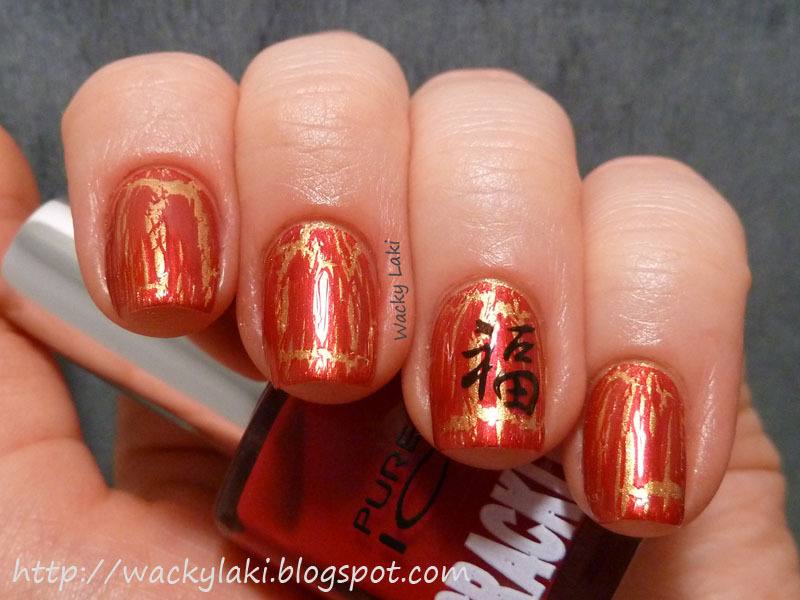 Unlike my previous manicure, this one is a more traditional color scheme for Chinese New Year. It reminds me of beautiful lanterns with light shining through. 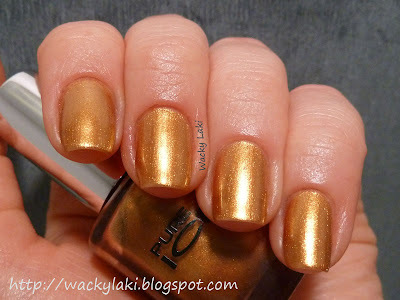 For the manicure I started out with the gold, which sadly does not have a name, only the number (313CP) on the bottom. In all the communication I received it is simply referred to as Gold. I topped the gold off with a layer of Show Stopper, a bright red jelly crackle. I had no problems with application. 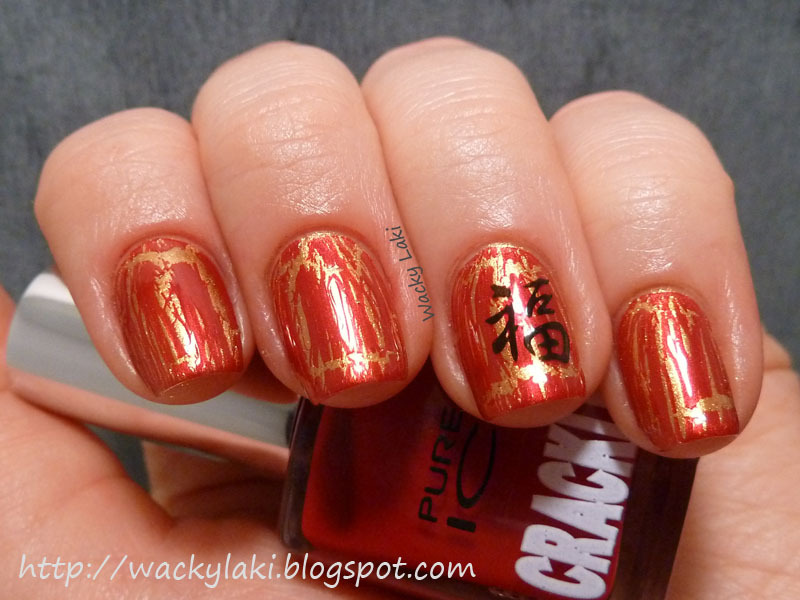 The crackle was very consistent. 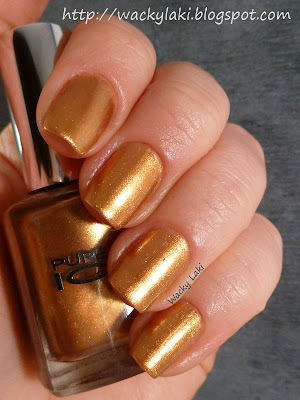 I love that it is a jelly and allows the gold to shine through. This looks great!! Love these colors together! Amazing! I love golden nails! 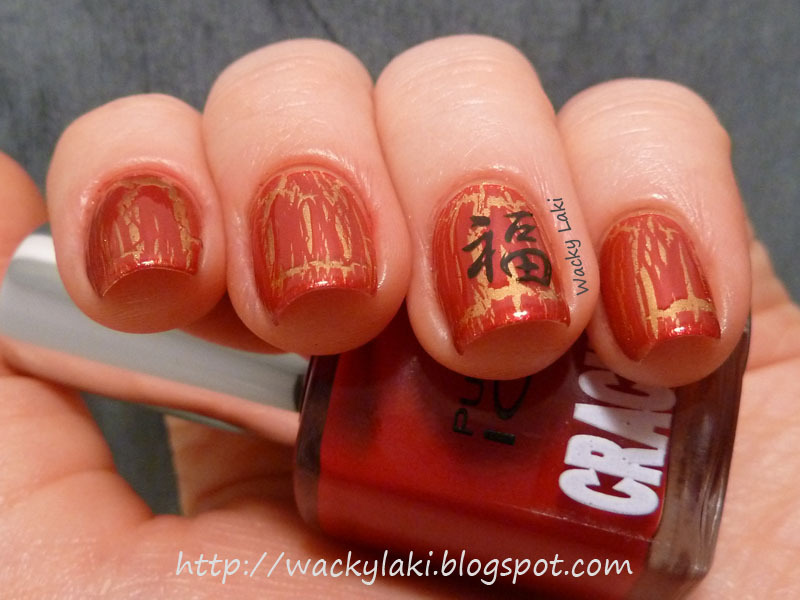 i love the chinese symbol. nice touch. Very cool! And I like the stamping! Really lovely combo. That stamp is the perfect touch! Oh my gosh, I saw these yesterday at Walmart and thought oh why didn't they have this before Chinese New Year?! It's a really great combo.